A Kanchenjunga circuit trek takes you to the same ground where the third highest mountain in the world, Mount Kanchenjunga is standing. A trek coming with a lot of challenges, it also is for the people who want to test their will and strength. All in all, even if a Kanchenjunga circuit trek is considered one of the hardest treks in Nepal, many people from all over the world visit Nepal every year, just with the sole purpose f taking part in this amazing adventure. Kanchenjunga translates to 'Five Treasure of The Great Snow', and it refers to the five peaks that make up the Kanchenjunga range. And once you set out on this journey and catch a glimpse of the peaks for the first time, you will understand precisely why it is called so. And still, there are many other things in store for you from the Himalayan biology to the warm hospitality of the Nepali Tibetan culture. Astounding views of the snowy mountains in the day, and the twinkling stars in the night, it feels as if they are competing to glisten the brightest. The Kanchenjunga trek is one of those few occasions where you chat with your soul, talking about nothing but peace and nature. 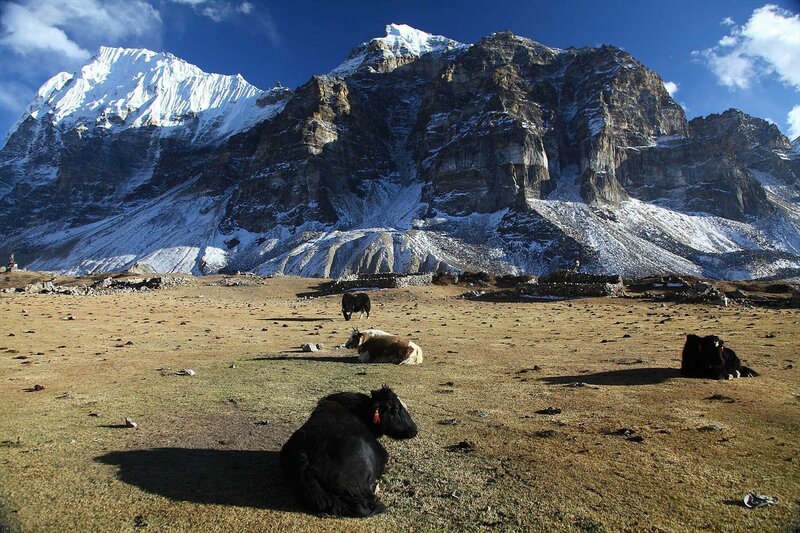 The Kanchenjunga trek starts from Suketar, where you fly from Kathmandu. And there, you start exercising your legs, eventually trying to reach the Kanchenjunga Base Camp, which is at a 5,388 m altitude. For this trek being considered a tougher one, you will also need help from an expert trekking guide, one that's been certified. For the stuff on your backpack, you might want to take his help and its good to know, the Kanchenjunga circuit trek could last about 20 to 24 days. Cost: Totally objective. Depending on your budget, the packages start at $1800 and could go as high as $5000.